Before I trained as a psychotherapist I worked successfully in retail management and then for many years in marketing in the manufacturing sector, researching new products and bringing them to market. I experienced all the difficulties of a fast paced career with the added demands of my partner and family and indeed seemed to thrive on being independent and achieving. I used all my coping strategies to deal with the stresses that this life placed on me coupled with an unsupportive and difficult relationship. Over time I found that I was anxious, stressed and not feeling OK and undertook my own journey of therapy which gave me insight into why I behave, think and feel with different people. Therapy provided me with a non judgmental space to explore different ways of being and doing. These enriched my experience in relationships and increased my self esteem and confidence. I am now a fully qualified and experienced counsellor and psychotherapist working in private practice in Bowdon with adults and couples. I have also worked as a counsellor at a busy counselling and family centre in Altrincham, Cheshire where I worked with individuals and groups. I have also had training in working with individuals that have suffered trauma and are experiencing anxiety, depression, flashbacks, nightmares and panic. Additionally I have worked with adults who have experienced sexual, physical or emotional trauma in their childhood and, or as adults in abusive relationships. I am an accredited & registered member of BACP and abide by their code of ethics and conduct. 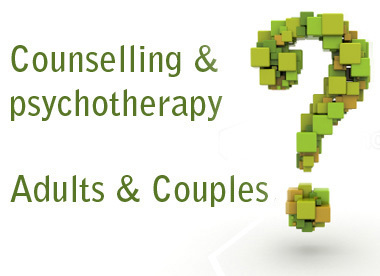 I receive regular clinical supervision for my work as a counsellor and psychotherapist. You can find me on their BACP Register and on their members directory, www.itsgoodtotalk.org.uk by searching with WA14 3BA. I have been influenced by Transactional Analysis. TA begins with a very simple philosophy ……that people can change and that change is possible. In my work as a therapist I use and teach the skill of Mindfulness for stress reduction, relief from depression, and emotional regulation. Each client will develop their own understanding and experience of what mindfulness is for them. “Mindfulness means paying attention in a particular way; On purpose, in the present moment” Jon Kabat-Zinn. I work sensitively and gently incorporating mindfulness and transactional analysis to help my clients manage their emotions, feel better about themselves and learn to cope with the stresses of their day to day lives.